Posted on May 22, 2010 by Notorious B.U.D. Steroids are not Fred McGriff approved. In a scandal that would make even Mark McGwire blush, former A.A.U. baseball coach and the godfather of fundamentals Tom Emanski revealed in a recent interview with Larry King that he administered steroids and human growth hormone to his teenage players in order to gain a competitive advantage. Emanski gained worldwide fame for his baseball fundamental videos (often referred to as the nine commandments) that stressed a “building block” approach to the sport. Apparently, those building blocks involved bathroom stall injections, steroid cycles and masking agents, not hitting the cut-off man and proper base running. Fred McGriff, who endorsed the videos as a young slugger for the San Diego Padres, teared up and shook his head slowly from side to side when approached at a restaurant about the story by a reporter. 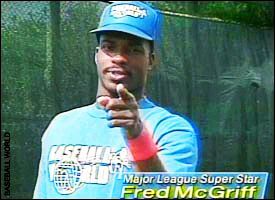 He didn’t comment any further, but on his way out, McGriff was seen throwing the distinctive blue “Baseball World” hat into an overflowing trash can, symbolically stating that once and for all, Tom Emanski’s videos were no longer “Fred McGriff approved“. He won’t be the only one shaking his head tonight…Tom Emanski failed baseball and forever tarnished America’s youth. Is nothing in this world holy anymore? Big Mac, Little Balls: Mark McGwire’s Steroids Confession is Too Little, Too Late for Once Revered Slugger. Posted on January 12, 2010 by Notorious B.U.D. Yesterday’s news that Mark McGwire used steroids and human growth hormone on and off for 10 years shouldn’t come as a surprise to anyone (especially not Tony Larussa and Bud Selig). It was painfully obvious that the man was a liar. Baseball players don’t hit 70 homeruns in a season through hard work and God-given ability, they just don’t. 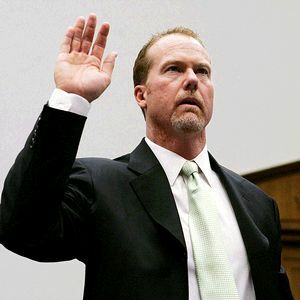 When he told a congressional committee that he “wasn’t here to talk about the past”, McGwire really told America that he had used steroids to set the all-time single season homerun record, but didn’t want to be held accountable for his actions. The hulking beast of a man was nothing more than a coward and a cheat, and McGwire hoped that disappearing into the shadows would allow him to eventually restore his broken image. Well, after five years and four Hall-of-Fame ballots it was clear that silence had done nothing but further tarnish his reputation, so he decided on another course of action. 1.) 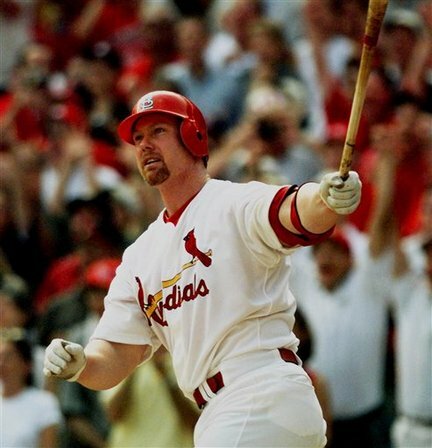 “I was given a gift to hit home runs…the only reason I took steroids was for health purposes.”: Throughout the interview McGwire continued to reiterate the point that “the man upstairs” had granted him the ability to hit homeruns, and in a sense, that’s true. McGwire was always a good homerun hitter, including a record-setting 49 in his rookie season, but he makes a point of saying that he could have hit 70 homeruns without the help of PED’s. Does he even believe what he’s saying? No, steroids won’t help your eye hand coordination, but they sure as heck are going to make a baseball travel farther. 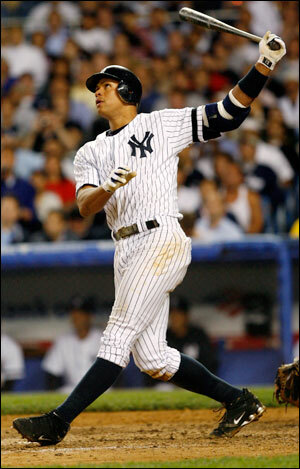 How many of his warning track outs turned into homeruns because of steroids? Normal human beings don’t hit 70 homeruns in a season no matter how talented they are. McGwire knew full well that steroids did more than just keep him healthy, yet refused to acknowledge this important fact. I guess I can’t blame him, it was a pretty “loosey-goosey” era. 2.) “I’ve never been asked point-blank, ‘Have you ever taken steroids? '”: McGwire wants us to believe in the interview that no one in his life; not his wife, kids, parents or manager (LaRussa) had any knowledge of his steroid use. Really? Look, I’ll readily admit that the America public is generally gullible, but he expects us to believe that no one in his family ever asked him about steroids? His wife never once talked to him about steroids when he was asked to speak in front of a congressional committee? His son never brought up steroids when McGwire was labeled a cheat and liar by the media? He said plenty of farfetched things in his interview, but this might be the most unbelievable of all. News flash Mark, “coming clean” does not involve continuing to lie—your arrogance is dumbfounding. 3.) “All I tell you is, I’m sorry and it’s been one of the toughest days of my life and I totally regret everything I’ve done.”: Is McGwire sorry that he did steroids or is he just sorry he got caught? It’s not like he accidentally did steroids once and then magically cleaned up his act (looking at you Andy Pettite). Look, people make mistakes, but when they make the same one for 10 years straight they’re way past regret. Did he really have 10 years of “health issues” that forced him to take steroids? Was the increase in strength and batspeed just a nasty side-effect? The only reason McGwire is “sorry” is because the Cardinals told him to and his publicist decided it was the best way for Big Mac to repair his reputation. McGwire is not sorry for what he did, he’s sorry because he’ll never be able to get into the Hall-of-Fame because of it. True repentance involves no ulterior motive. Mark McGwire finally came out on Monday after years of solitude and told America he was sorry for ever using steroids and that he wished he had never played in the steroid era. Well Mark, I for one don’t forgive you. You didn’t tell the truth five years ago when you had the chance and you aren’t telling the truth now. 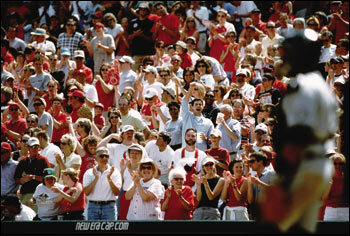 Baseball fans are not stupid or ignorant; don’t treat them like they are. Tell the truth, apologize and you be will forgiven. Keep on lying, and you will be forever branded a cheater and all of your accomplishments will be marked with an asterisk. 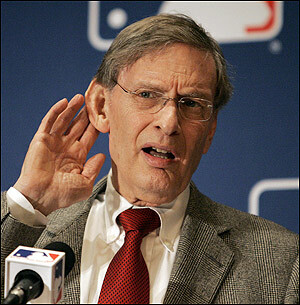 Baseball fans and the entire sport deserve a real apology for what you did Mark. Now go put your shirt on, and give us a call when you’re ready talk. 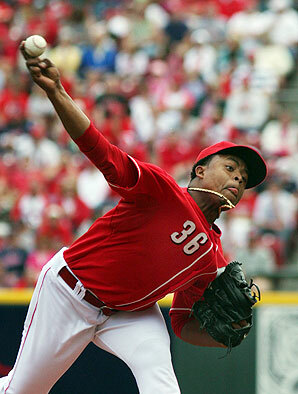 Vicente Padilla’s Resurgence Raises Serious Question: Is Swine Flu Baseball’s Newest Peformance Enhancing Drug? Posted on October 20, 2009 by Notorious B.U.D. The secret to Padilla’s newfound success has been linked to the H1N1 virus. Just when baseball thought it had cleared itself of a league wide steroid problem the ugly performance enhancing drug monster reared its ugly once again—and this time the sport is powerless to stop the new drug’s proliferation. A few short months again Vicente Padilla was a cast-off from the Texas Rangers, banished to the waiver wire by a potent combination of poor pitching, bad breath and general unlikeability. Even a pitching starved franchise like Texas wasn’t willing to put up with Padilla’s behavior, and this is a team whose opening day starting pitchers this decade have included the likes of Rick Helling, Ismael Valdez (slaps forehead) and Ryan Drese. The Rangers sent Padilla packing on August 17th, citing “poor personal hygiene” and his “disruptive clubhouse presence” as reasons for the release. At the time of his departure, Padilla was 8-6 for the Rangers, but sported a ghastly 4.92 ERA and 1.50 WHIP. Just two days later, the NL West leading Los Angeles Dodgers signed the Nicaraguan Nightmare to a minor league contract in order to bolster their starting rotation. After a short stint in the minors, Padilla was called up to start for L.A. and immediately looked like a man reborn, closing out the season in style with a 4-0 record, 3.20 ERA and 1.22 WHIP. He’s been even better in the postseason thus far, allowing only one earned run in 14 1/3 innings to go along with 10 K’s and only 2 walks, quickly establishing himself as the Dodger’s defacto playoff ace. The origin of Padilla’s super-powers. All this from the same pitcher who a few short months again was cut by Texas and left for dead. Now Padilla is in the midst of a playoff run for L.A. and looking like Orel Hershiser; what exactly happened between his time with the Rangers and his signing with the Dodgers? As the great theologian Terrell Owens famously said, “if it looks like a rat and smells like a rat, by golly, it is a rat.” Vicente Padilla does smell like a rat…and that rat is named swine flu. Padilla was diagnosed with the H1N1 virus on July 22nd and was believed to be the first player in the four major American sports (baseball, quidditch, jai-alai and poker) to test positive for the disease. He was scratched from a start against the Red Sox and was kept away from the rest of the team to prevent a spread of the virus. Apparently quarantining Padilla worked, because he’s still the only major league player that developed a confirmed case of swine flu, although that may change after the startling discovery of Dr. Van Nostrom at the Center for Disease Control in Atlanta. Padilla now has more in common with the Teenage Mutant Ninja Turtles than he does with other human beings. If what Dr. Van Nostrom indicated in his report is true, how long will it be until baseball players are throwing swine flu parties in hopes of catching up with Padilla? Is H1N1 baseball’s newest fad performance enhancer? Baseball’s playing field, which had been leveled by the sports’ tough drug testing, is thrown into disarray once again with the evolution of Padilla into a super-human shutdown pitcher. Padilla’s agent Bus Cook refused to comment on the situation, only saying that his client was pitching well because of hard work and determination, not the swine flu, and called Van Nostrom’s theory “preposterous”. Padilla was approached at his locker by a swarm of reporters following the Dodgers 5-4 loss to the Phillies in Game 4 of the NLCS, and in between karaoke renditions of Randy Newman’s I Love L.A., the right-hander muttered “how ’bout them Cowboys”, but nothing about the H1N1 virus–only fueling speculation that he gained some special abilities from the disease. At this point there’s nothing baseball can do to slow down Padilla. 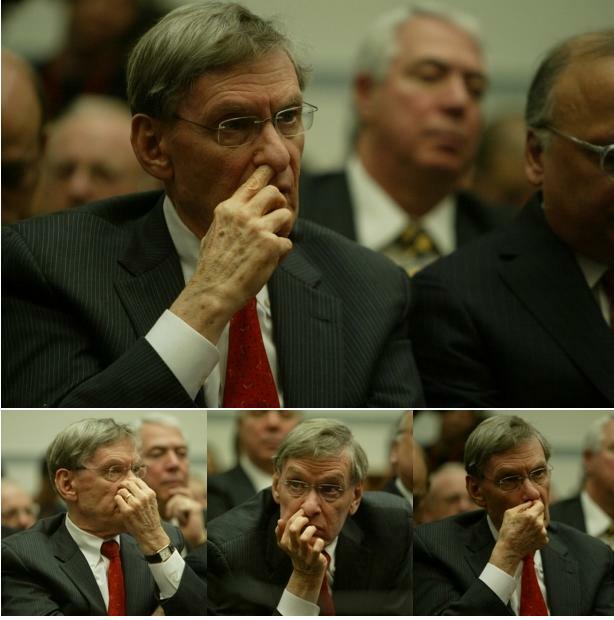 After all, Bud Selig can’t suspend someone for getting sick, even if that sickness imbued the pitcher with super-human skills the likes of which baseball has never seen before. The Dodgers will be the favorites to win every time Padilla takes the mound, and it won’t be long before the team discovers they should start him each and every game, because everyone knows that pigs never need rest. Padilla will be a free agent at the end of the season and stands to make a large chunk of change, how big simply depends on how long teams believe his powers will last…and how much better they think he can get. Vicente Padilla; from an afterthought to the best pitcher in baseball, all thanks to the biggest health scare in America since SARS and the kangaroo flu. There’s no doubt that Padilla will dominate the baseball landscape over the next decade, Dr. Van Nostrom’s work proves this, but it also raise a very serious question. Will Padilla use his powers for good or evil once he retires? If his past behavior is any indication, governments around the world had better start working on a swine kryptonite…and soon.